HELLO My name is Larry and I own and operate a great auto repair shop in the Mission Viejo a little further down the 5 fwy from the Irvine Auto Center off Alicia Parkway. 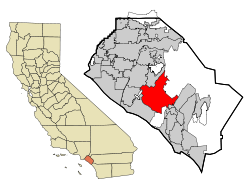 I have been in business for over 30 years with customers from all over Orange County. My customers seem to like my honesty in my way of doing business. I first started out repairing Hondas and that grew into Totota, Lexus, Ford, Chryster, GM, KIA, Cadillac, Chevy, Volkswagen, Suzuki, Nissan, Acura, Infiniti, Mitsubishi, Subaru, GMC, Dodge, Mercury, Buick, Lincoln, Saturn, Pontiac, Oldmobile, Hyundai, Jeep, Plymoth and classic cars. Call me if your vehicle needs repair I will do my best to maintain and service your vehicle. THE ONLY SHOP WE WILL USE PERIOD! "As HONEST as they come! I bought a used car & quickly realized there was something wrong with the breaks. I took it into Larry and had his crew check it out. They checked out everything. They also did a background check on my car and found out that there was a SAFETY RECALL many years ago. Larry called us and told us that he would be happy to fix our breaks but that because it's a SAFETY RECALL, our dealership that we bought the car from should cover it at no charge. We called the dealership and sure enough, it's covered. Also, really surprised that our dealership didn't notify us of this recall. Kudos for Larry for finding out about a very serious safety issue AND for being honest & letting us know that we didn't have to pay for it. I would recommend Larry's Independent to ANYONE!!!!!!" NO GIMICS, JUST AN HONEST REPAIR - simply I just enjoy working on vehicles and will honestly repair and maintain your vehicle. I won't sell you anything you don't need. I will honestly tell you what you can do to do prevent breakdowns by replacing parts just before they are expected to fail. If you do regular maintenance with me our computer system efficiently tracks when items need maintenance and scheduled replacement before failure so it will be unlikely that your vehicle stops on the side of the road. We also do a comprehensive inspection of your vehicle each and every service to make sure you know all about your vehicle. "These guys are great - had an issue that needed to be sorted ASAP and they turned it over in under 2 days. Special mentions to Larry who seems a proud and genuine guy - he called to discuss repair recommendations/options a few hours after dropping my Subaru off plus Carlos who answered the phone initially, said he could work us in and was very considerate offering us a lift home when we became carless. I was especially impressed when after an initial recommendation that was too pricey and extensive Larry's said they would call me back with a bare-bones repair plan, and did so without any fuss or snideness. Although a simple job the car is once again fine and they made a customer happy... cheers guys!" WE ARE BETTER THAN THE DEALER ALTERNATIVE - Simply, we repair cars and trucks and warranty our work. This is better than what the dealership or other alternative. Honestly we are so confident we can repair your car right the first time we warranty our work. With the warranty you can actually take it to another mechanic if you so desire, that is how confident we are. WOW that is standing behind an automobile repair. See its simple, honestly nothing in life works perfect, but we can almost strive to get very close. Warrantied work helps Larry's Auto Repair get very close to perfection. HE IS HONEST AND AMAZING! "Love Larry, he is Honest and his entire staff of Licensed Mechanics are amazing. 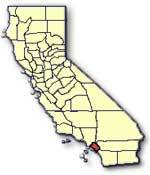 If your in South Orange County and are looking for reliable mechanics, Larry is the guy you take your car to. I called to see if I could make an appointment or bring my car in to have my brake light looked at and my headlight. Both on the drivers side. I figured the Fuse or Bulbs are out. Larry said, bring it in after lunch we'll take care of you. And, they did"
Preventive maintenance is important to keep you and your car safety. With proper care your car will last longer and some of the possible problems can be avoided. A well-maintained car is not only safer, it's also more economical and produces less pollution. We at Larry's Auto Repair Mission Viejo, Orange County CA wish to be your mechanic to help with keeping your vehicle or car safe and problem free! 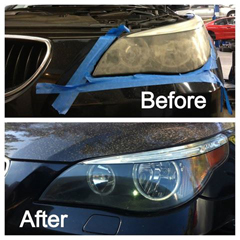 OUR MISSION: TO PREVENT PROBLEMS ON THE ROAD FOR YOU! Whatever vehicle you drive, you'll find nobody does it better. We're committed to you with fast, quality preventative maintenance service to help preserve the health of your vehicle. you'll also enjoy the efficiency of our professional staff who is devoted to exceptional service, personal attention and respect for your time. All of our owners, managers and senior technicians are ASE Master Certified and our entire tech team is ASE Certified. We stricly adhere to factory specifictation in services and repairs. Above All—Empathy! We are very much aware of how unexpected repair bills can put a dent in your budget. We will let you know the items that might need immediate attention and the ones that can wait for a next appointment. We don't want you to be a "one time Customer". We want you to become a Customer and Friend for years to come. Don't see something you need to have done? 18 month / 18K Mile Guarantee on our work"
I have taken my Lexus to Larry for years and I know that is why it has 108,000 miles on it and is still going strong. My dad always said that whenever you buy a car take it to someone you trust and have it checked out -- well Larry is definitely my go-to person when it comes to cars. To get honest, reliable service is so important and at Larry's he will also go out of his way to make it convenient to my schedule - he even comes and gets the car, fixes it and then brings it back!! at no extra charge!!! Larry and his crew are very good at what they do. They are honest and trustworthy! Larry's Independent Service is a very reliable company to work with. they recently installed a replacement battery at 1/2 the cost of the dealer would have charged. I've known him several years and worked with many of his associates who all agree he is a accomplished business professional who can be relied on for an unparalleled standard of excellence from the convenience of picking up and dropping off vehicles to the professionalism and unparallel expertise. They can be relied on for prompt service above and beyond. I happy to say that I have used Larry's service for almost five years, and all of my family's cars have been serviced there. Larry and his staff display uncommon integrity to compliment their excellent technical skills...I can feel confident they aren't out to gouge me, like so many auto repair shops do. The service is outstanding and friendly. They even offer free pickup and delivery! I am a person who is skeptical about auto repair shops, but I have to say I am so glad I found Larry's Independent Service. They are honest and knowledgeable and don't try to sell you something you don't need. I can finally feel relaxed about getting my car repaired. Thanks, Larry. Larry's Independent Service provides the honest, reasonable, and expert auto service. With Larry, I never have to question whether I am being sold on something I don't really need. I feel so lucky to have found Larry's Independent Service and gladly recommend Larry to all of my clients, friends and family. I recently took my beloved to Larry Ray at Larry's Independent Service. I appreciated his honesty and integrity. He never attempted to 'add on' unneeded services. If any issues were detected, he contacted me immediately for my wishes. His services guys even saved the broken parts to show me. I trust Larry and know you can too. My experience at larry's independent was everything that it should be.Bob was very courteous and knowledgable about what I needed.I was given an estimate and was told that depending on time involved,,it might not be as much as estimated.They found the problem and advised me that it was covered by my manufacture warranty.Although they didn't do the repair,I found them very honest and would recommend them to anyone.My bill was half of what was estimated.Awesome!!!!!! Very dependable and very honest. Always get the job done right the first time. Excellent service at reasonable prices... Until I was referred to Larry Ray of Larry's Independent Service, I felt that all car repair shops were the same maximum billing minimum service. This is not true at Larry's Independent where they provide top-notch service at reasonable prices. Yes, I could take my Lexus to the dealership and have the Dealership� experience but it will cost me dearly. Larry's shop is clean and the staff are courteous and caring. I highly recommend you call Larry the next time your car needs service. I hope you enjoy the personal service they provide as much as I do. Mike Maruca of Maruca Financial & Insurance Services, Inc.
An auto mechanic (or motor mechanic in Australian English) is a mechanic who specialises in automobile maintenance, repair, and sometimes modification. An automobile repair shop (also known as a garage) is a place where automobiles are repaired by auto mechanics. A mechanic may be knowledgeable in working on all parts of a variety of car makes or may specialize either in a specific area or in a specific make of car. In repairing cars, their main role is to diagnose the problem accurately and quickly. They often have to quote prices for their customers before commencing work or after partial disassembly for inspection. The mechanic uses both electronic means of gathering data as well as their hands, ears, eyes and nose. Their job may involve the repair of a specific part or the replacement of one or more parts as assemblies.Basic vehicle maintenance is a fundamental part of a mechanic's work in some countries, while in others they are only consulted when a vehicle is already showing signs of malfunction. Preventative maintenance is also a fundamental part of a mechanic's job, but this is not possible in the case of vehicles that are not regularly maintained by a mechanic. One misunderstood aspect of preventative maintenance is scheduled replacement of various parts, which occurs before failure to avoid far more expensive damage. Because this means that parts are replaced before any problem is observed, many vehicle owners will not understand why the expense is necessary.With the rapid advancement in technology, the mechanic's job has evolved from mechanical to electronic technology. Because vehicles today posses complex computer and electronic systems, mechanics need to have a broader base of knowledge than in the past. Lately, the term "auto mechanic" is being used less and less frequently and is being replaced by the euphemistic title “automotive service technician”. Fading quickly is the day of the 'shade tree mechanic', who needed little knowledge of today's computerized systems. Due to the increasingly labyrinthine nature of the technology that is now incorporated into automobiles, most automobile dealerships now provide sophisticated diagnostic computers to each technician, without which they would be unable to diagnose or repair a multitude of common failures. 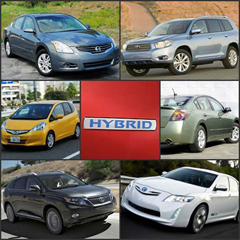 A hybrid electric vehicle (HEV) is a vehicle that uses two or more distinct power sources to propel the vehicle. Common power sources include: * On-board rechargeable energy storage system (RESS) and a fueled power source (internal combustion engine or fuel cell) * Air and internal combustion engines * Human powered bicycle with electric motor or gas engine assist * Human-powered or sail boat with electric power The term most commonly refers to Hybrid-electric vehicle (HEV) which include internal combustion engines and electric motors. Given suitable infrastructure, permissions and vehicles BEVs can be recharged while the user drives. The BEV establishes contact with an electrified rail, plate or overhead wires on the highway via an attached conducting wheel or other similar mechanism (see Conduit current collection). The BEV's batteries are recharged by this process - on the highway - and can then be used normally on other roads until the battery is discharged. This provides the advantage, in principle, of virtually unrestricted highway range as long as you stay where you have BEV infrastructure access. Since many destinations are within 100 km of a major highway, this may reduce the need for expensive battery systems. Unfortunately private use of the existing electrical system is nearly universally prohibited. The technology for such electrical infrastructure is old and, unfortunately outside of some cities, is not widely distributed. Updating the required electrical and infrastructure costs can be funded, in principle, by toll revenue, gasoline or other taxes. The latest wrinkle in the rapidly evolving hybrid technology is the plug-in Hybrid Electrical Vehicles--PHEV. In this gasoline electrical hybrid its battery pack is upgraded with a larger capacity battery pack (usually Li-ion) that is recharged by both a battery charger hooked into the electrical grid and the gasoline engine only if required. The car runs on battery power only for the first 10 to 60 miles [16-100 km] with the gasoline engine available for faster acceleration etc. After the battery is nearly fully discharged the car reverts to the gasoline engine to recharge the battery and/or return the car to the charging station. This may get around the fundamental obstacle that has killed nearly all pure electric cars--the typical battery pack can carry about as much energy as 1-2 gallons of gas. Fuel costs (ignoring conversion costs), in principle, may be as low as 5 cents/mile. Its not clear yet whether converting an existing hybrid car will ever pay for itself in fuel savings--yet. The biggest problem is finding a good, cheap high energy battery pack--the same problem that has plagued the pure electrical car. If everyone plugged into the utility grid to charge up their car this would seem to be merely displacing the gasoline/diesel combustion problem to the typical coal powered electrical generating plant. But, if cars were recharged late at night this would allow the base load of the electrical system to be more efficient with a much more even base load and electrical power can also be generated by clean nuclear, wind, hydro, tide etc, power. Since most travel is about 30 miles/day this may be the cleanest personal transportation system presently available. There are a "cottage" conversion industry, several large auto industry groups (GM, Toyota, etc.) and "serious" studies by the Department of Energy investigating this system. There are no large car maker's cars for sale--yet (late 2007). The typical "cottage" industry car "converted" is a Toyota Prius (at $5k-$40k) since it is a full hybrid with enough power in its electrical system to maintain typical city speeds. AFS Trinity Power's Extreme Hybrid(TM) demonstrator (built by Ricardo Plc) was recently unveiled at the North American International Auto Show.